Disney has just dropped the first full-length trailer for its highly-anticipated live-action, remake of the Lion King. The film, which will star Childish Gambino and Beyoncé, as Simba and Nala, respectively—as well as Chiwetel Ejiofor as the villainous Scar—is set to hit theatres on July 19, following the 25th anniversary of the original’s release. Narrated by the iconic bass of James Earl Jones, who reprises his role as Mufasa, the nearly two-minute trailer introduces the film’s familiar characters and narrative. It mirrors many of the iconic scenes from the original, including the opening sequence of the animal kingdom gathering at Pride Rock. The film’s star-studded cast also includes Alfre Woodard as Sarabi, veteran South African actor John Kani as Rafiki, Eric André as Azizi, Ugandan actress Florence Kasumba as Shenzi, JD McCrary as Young Simba, Shahadi Wright-Joseph as Young Nala and Keegan-Michael Key as Kamari, John Oliver as Zazu and more. “The Lion King” journeys to the African savanna where a future king is born. Simba idolizes his father, King Mufasa, and takes to heart his own royal destiny. But not everyone in the kingdom celebrates the new cub’s arrival. Scar, Mufasa’s brother—and former heir to the throne—has plans of his own. The battle for Pride Rock is ravaged with betrayal, tragedy and drama, ultimately resulting in Simba’s exile. With help from a curious pair of newfound friends, , Simba will have to figure out how to grow up and take back what is rightfully his. 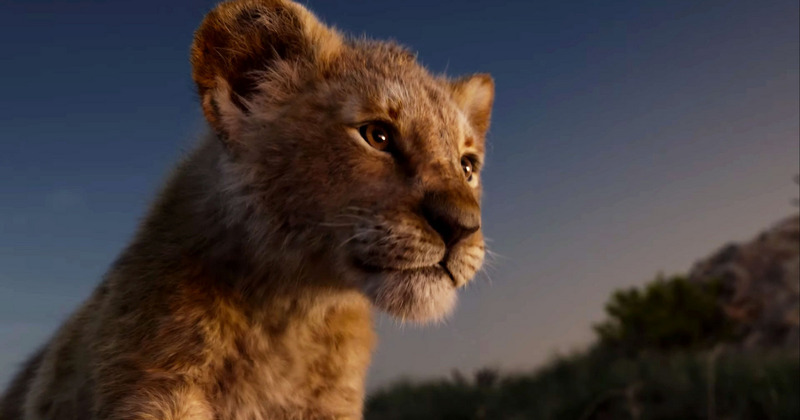 The post Watch the First Full-Length Trailer of Disney’s ‘Lion King’ appeared first on FabWoman | News, Style, Living Content For The Nigerian Woman.